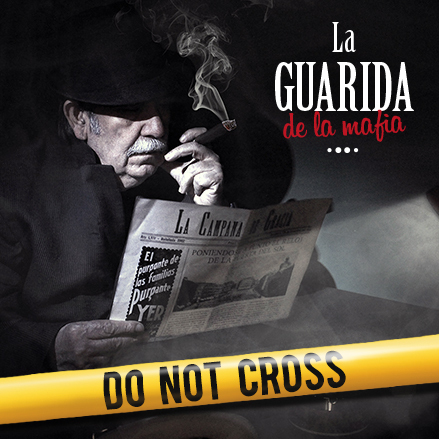 Carlo Gambino is suspected of being in command of a dangerous mafia gang of Barcelona. In police custody, our agents are interrogating him, but we don´t have enough evidences to put him in prison. It is about to come the 72 hours of retention so we are obligated to release Carlo Gambino for insufficient evidences. A tip led us to the lair, where he meets with his buddies at the Vila de Gràcia. We have 60 minutes to infiltrate there and get enough evidences to put him in jail. We have 60 minutes to infiltrate there and get enough evidences to put him in jail. We are looking for the best agents to solve this mission. For booking please, click on the days available in blue.Then select the time, the number of players and the language of the game (Spanish or English). Click on "BOOK". To complete the reservation please, you must fill in all your personal details correctly and select the payment system to receive confirmation via e-mail. It is important that you check your e-mail and phone because it is the only way to contact you to report of any incident and / or reservations. You are about to discover a new experience with your friends in Barcelona. To book click on first day available in blue to see what times are availables. Then select the time. Click on "Booking Game " and wait a few instants, we are processing your request. Team of 2 to 5 people. From 6 people you must divided in different and consecutive games.